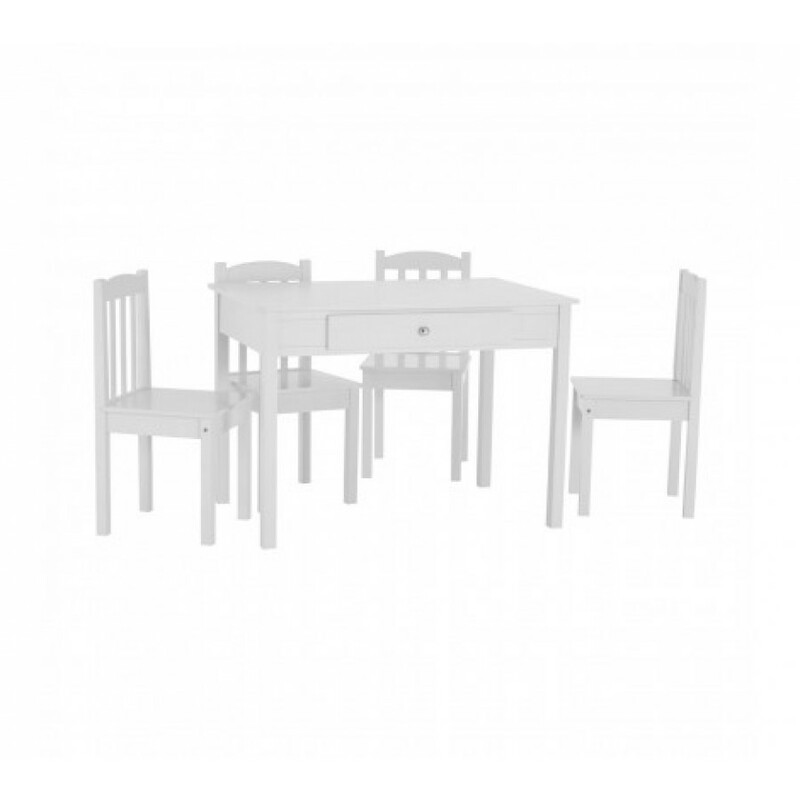 The Kids 5pc table and chair set, featuring a neutral white finish, will give them a feeling of being a grown up, making their tea parties a bit more special. The set includes 1 table and 4 chairs, each being made with MDF and featuring fir wood legs ensuring durability, while the while finish brings long lasting style. The table features a single drawer which is ideal for keeping the plates and cutlery close by in case of emergency parties. The rigid design of the chairs ensures robustness and will make sure everybody sits properly at the table. Whether it's for everyday tea parties or the occasional dinner, the kids 5pc dining table and chair set adds a sense of occasion each time you sit down.